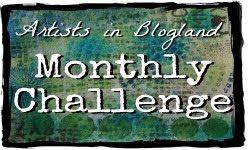 Artists in Blogland: Announcing an Autumn Challenge! Fall Fearless and Fly! Announcing an Autumn Challenge! Fall Fearless and Fly! Each bi-monthly challenge will contain 3 parts -- one of these headlines, a color prompt, and a relevant quote. The challenges will be posted on 10/1, 10/15, 10/29, 11/12, 11/26, 12/10, and 12/31. Your submission should be linked by Sunday the day before the next challenge is posted. i.e., 10/13, 10/28, 11/11, 11/25, 12/09, and 12/30. Winners will be announced the following Monday. Grab the button above and put it on your blog with a link to this page. You may link up to 2 times, but no back links please. Each time you participate, visit 3 other links and leave loving words! Will there be prizes? The answer is yes! 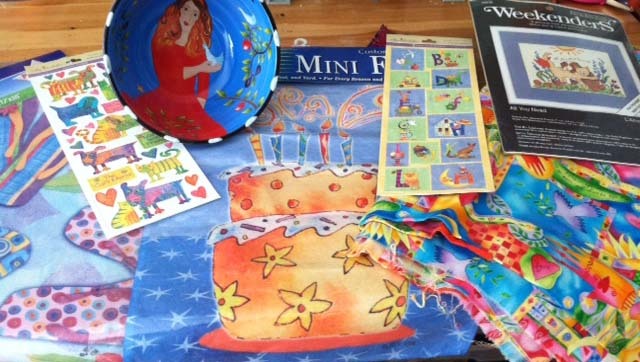 Here is a sneak peak at just some of the prizes (outdoor flags, stickers, a needlepoint kit, fabric, a Woman of Valor bowl), all designed by Jessica. LuminArte, lue Moon Scrapooking, The Crafter's Workshop, Ranger and more are donating prizes too! We hope to offer two each challenge - both will be picked randomly because we know it will be too hard to choose. Carolyn and I will be back on October 1 to announce the first challenge and to show you what we've made in response to it. In the meantime, let us know by commenting below if you plan to participate! We're so excited to see what everyone does, and look forward to "going deep" and doing this "art cleanse" with you! UPDATE!! Marcia Beckett, Jane Davies, Maria McGuire, Ronda Palazzari and Dina Wakely will be guest artists in this challenge. Can't wait to see!! ANOTHER UPDATE! Joanne Sharpe will be our guest artist for 12/31. We are adding a challenge in January for Nathalie Kalbach. Welcome Nat! Sounds great! I have grabbed a button to remind me. Thanks. We're that you will join in! So glad! We can't wait. Just one thing, what does rule 3 mean? "You may link up to 2 times, but no back links please" Sorry if I am being stupid but I don't understand. Thanks Jessica, yes that makes sense, thanks for clarifying. I had the same question - thanks for asking! This looks fabulous! Just popped over from Carolyn's blog. 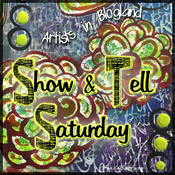 Will share with my art journaling group on FB... your roster of artists is exciting! Thanks to Marjie for this link, I will be joining you. Sounds like a fun and interesting journey! How do I grab the button and put it on my page? 5. from your computer, browse your desktop and choose the fall fearless logo. 6. Then click save. The button should appear on your sidebar. Hope this helps! Love your work. So far I'm mostly lurking, looking to learn. Hi! I want to participate! I have allready picked the challenge button! 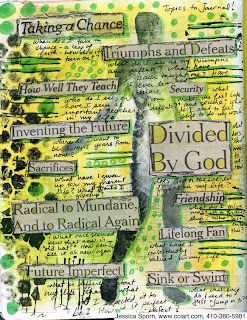 I have featured you this week at Inspire Me Monday at Create With Joy! thank you so much for the Shout Out on your blog! Look forward to seeing you here and at Inspire Me Monday! I am looking forward to participating in this. How great to be nudged out of my comfort zone. This will be fun! I've posted the button on my blog! What about not having a blog? I'd like to partisipate but I dont have a blog - and won't until then. 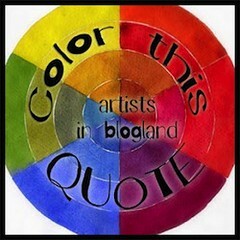 do you have a Flickr account or another photo site where you can upload your work and share? That works too. I plan on participating. I'm fairly new to blog challenges/memes but have found they are perfect for getting me back into my artwork. Looking forward to this! I'm going to play along. I'm a new artist and have been looking for the 'right' challenge for my first one. This sounds perfect! I am also a new blogger and don't know how to 'grab a button' for my blog. Any help? Thanks in advance!! Sorry I missed that! It worked! Yay!! of course -- how geographically narrow of me!! A cleanse is good at any time of year! this sounds like fun-I'll try to play along! I am joining Carolyn and Jessica! Looking forward to the art cleanse with everyone. Thanks for hosting! I' m italian... Can i enjoy with you?If i can i'm in!!!! Already grabbed the button and put it on my blog. I really looking forward to having fun with everyone. This will be my first time joining art challenge online. this is my first "art" challenge and i am so looking forward to it...i have recently over the past few months spread my wings and started an art journal...i love crafting, am a glass lampwork artist but can't melt glass at this time since we had to downsize due to the horrid economy, thus my studio is now in my friends storage basement...so far, i am loving the freedom of mixed media arts and can't wait to share in the fun of this challenge. of course! Happy to have you! I'm in. Thanks for hosting this!! Hi!! I'm in. Not sure I can make all the challenges but going to try. I participated in a word prompt art journal challenge last year and loved it so excited to try this. Just grabbed your button, too. Popped over from Rhonda's blog. Sounds like lots of fun. I will check back!! I am excited to participate. I've already grabbed the button! Added your button to my sidebar. I'm also glad you've listed the dates so I could plan my Glitter and a Movie challenges without the dates conflicting. Fun.